When you count your blessings this Easter, don’t forget to include all the delights in our abundantly delicious holiday treat! 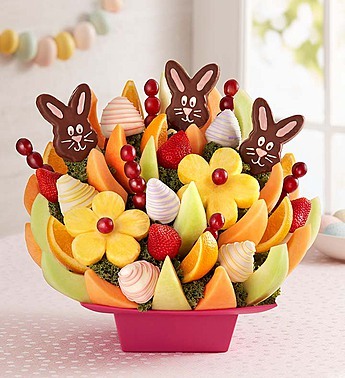 With two different kinds of dipped fruits—including smiling pineapple bunnies—and an assortment of other juicy-ripe surprises, there’s something everyone will love. Served up on a festive pink tray, it’s a delicious centerpiece to share with family and friends as you gather together to celebrate.